Rags is an SSB4 Meta Knight main from Chantilly, Virginia. 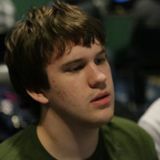 He is considered one of the best Meta Knight players in the United States, along with Armando and Pandarian, and the best Meta Knight player on the East Coast. He is currently ranked 5th on the MD/VA Smash 4 Power Rankings and 87th on the Panda Global Rankings 100, and has taken sets off of notable players such as Ally, WaDi, CaptainZack, Ned, Raito, Cosmos, Charlie, zaki, ZD, and Pink Fresh. Frostbite 2018 February 9th-11th, 2018 17th 33rd MILK! Smash 'N' Splash 4 June 1st-3rd, 2018 7th 25th MILK! This page was last edited on April 22, 2019, at 00:02.